and reading area with television. 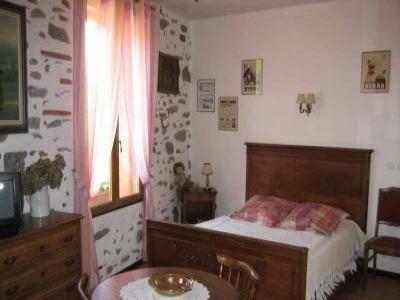 minutes from the "lake of Escoumes where you can enjoy bathing or fishing. (immediate nearness of the GR 36). Rich architectural, natural and cultural heritage. 50€ for one night,45€ per night for 2 nights or more. a substantial breakfast is included in the price.